Fayetteville, Ark. 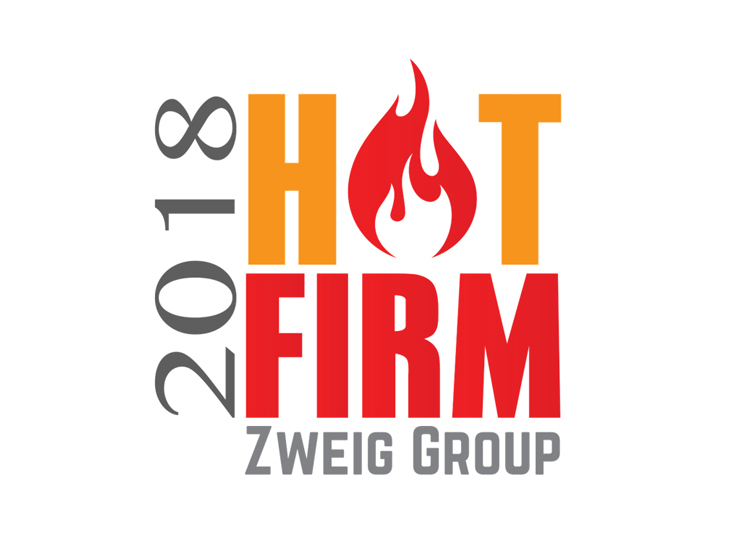 — Zweig Group announced the 2018 Hot Firm List honoring the fastest growing firms in the architecture, engineering, and environmental consulting industry. Firms are ranked on three-year growth in revenue, by both percentage and dollar growth. Winners will receive awards at The 2018 Hot Firm + A/E Industry Awards Conference held on September 20-21, 2018 in Dallas, and be featured in Zweig Group’s weekly management newsletter, The Zweig Letter, and Zweig Group’s other marketing channels. View the complete list of winners at https://zweiggroup.com/2018-hot-firm-list. More information about the Hot Firm + A/E Industry Awards Conference is available at https://zweiggroup.com/conference.